The US and the United Arab Emirates have signed a new agreement that would dictate “the magnitude and conditions” of the US military in the UAE, allowing the United States to send more troops and equipment to the region. 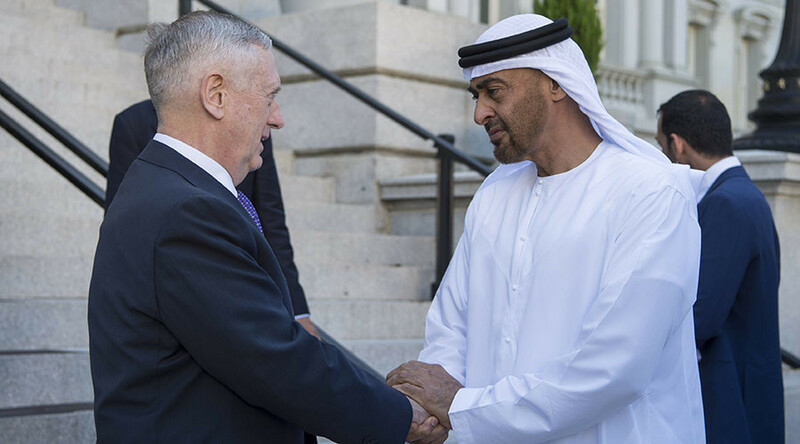 On Monday, Defense Secretary Jim Mattis met with Crown Prince Mohammed Bin Zayed Al Nahyan of the UAE to discuss the defense partnership between the two allies. The accord, which was signed May 8, was disclosed by the Pentagon on Tuesday. The agreement will replace a previous agreement reached in 1994 after the first Gulf War. "The agreement marks a new chapter in our partnership and reflects the breadth and depth of our ongoing cooperation, which is underpinned by the mutual respect we share for the professionalism and efficacy of our armed forces,” Mattis said in a statement. 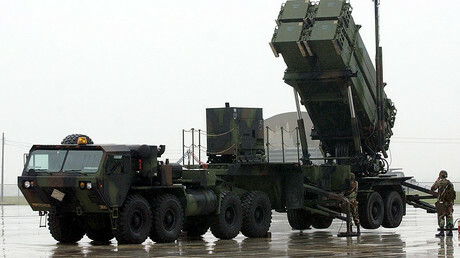 The accord gives the US military “the ability to more seamlessly respond to a range of scenarios in and around the UAE, if necessary,” Department of Defense spokesman Christopher Sherwood told Reuters. "The Defense Cooperation Agreement does not prescribe cooperation against particular actors or in particular theaters; it is not a policy document. Rather, it is a framework that dictates the magnitude and conditions of the US military presence in-country," Sherwood told Sputnik News. The crown prince and the defense secretary also discussed security threats, including the instability in Yemen and Libya and the campaign in Iraq and Syria to defeat Islamic State (IS, formerly ISIS/ISlL). The meeting with Mattis followed Prince Mohammed’s first meeting with President Donald Trump, where the two leaders discussed a range of issues surrounding the new bilateral defense cooperation including counterterrorism, the conflicts in Yemen and Syria and “the threat to regional stability posed by Iran,” according to the White House. In the meeting, the two men shared “assessments of Iran’s increasingly aggressive behavior” and Prince Mohammed emphasized “the critical US role in strengthening regional stability,” according to a statement from the UAE embassy. Mattis and Prince Mohammed also discussed expanding trade and investment between the two countries. The UAE is the second-largest economy in the Arab world, according to the Office of the United States Trade Representative (USTR). In 2013, the USTR said the US had a $22.3 billion goods trade surplus with the UAE. Prince Mohammed also met with Secretary of State Rex Tillerson, House Speaker Paul Ryan (R-Wisconsin) and other leaders to discuss relations between the two allies.